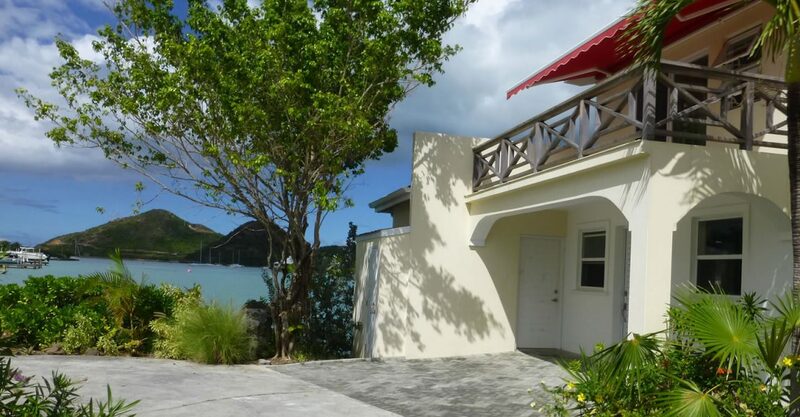 2 bedroom marina villa for sale in Antigua occupying a prime waterfront end position in Jolly Harbour offering panoramic harbour views. 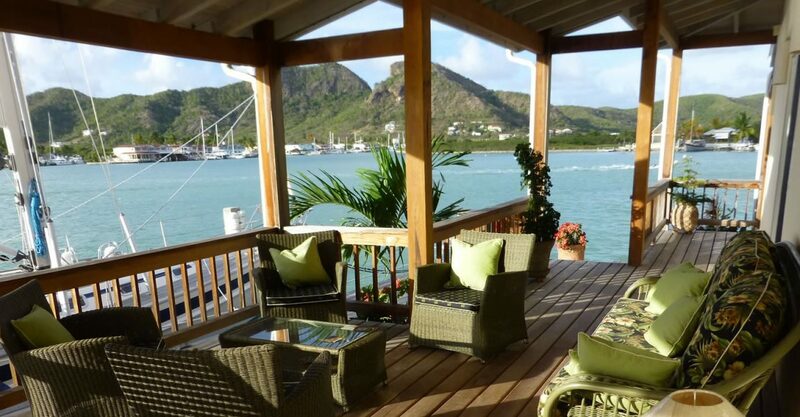 This villa is situated in a prime waterfront position at the end of the South Finger of Jolly Harbour in Antigua. 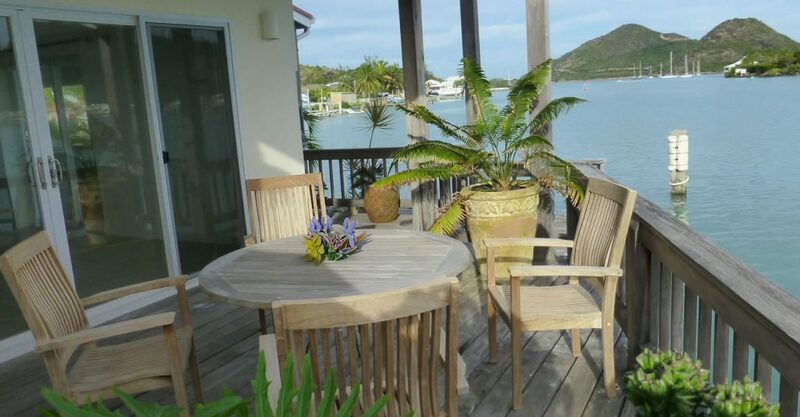 The setting provides a cooling breeze and uninterrupted panoramic views over the entrance to Jolly Harbour, anchorage and Pearns Point beyond. 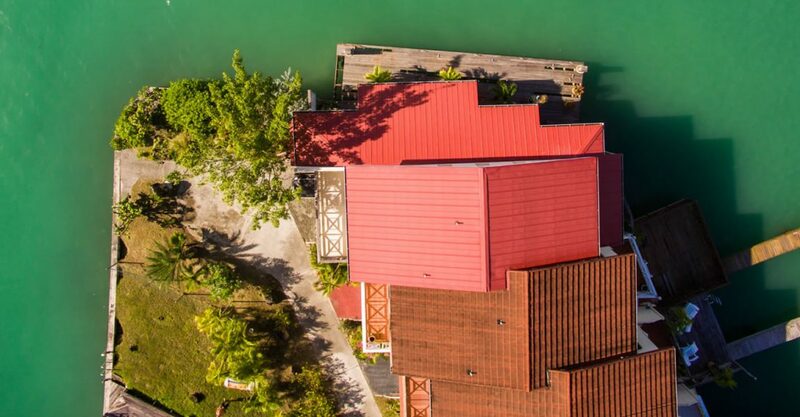 Finished to a very high standard throughout, the villa has been customized and modernized to provide light, airy and spacious living space. The interior features an open plan living and dining area, modern kitchen with beautiful high end appliances, 2 bedrooms and 2 bathrooms. 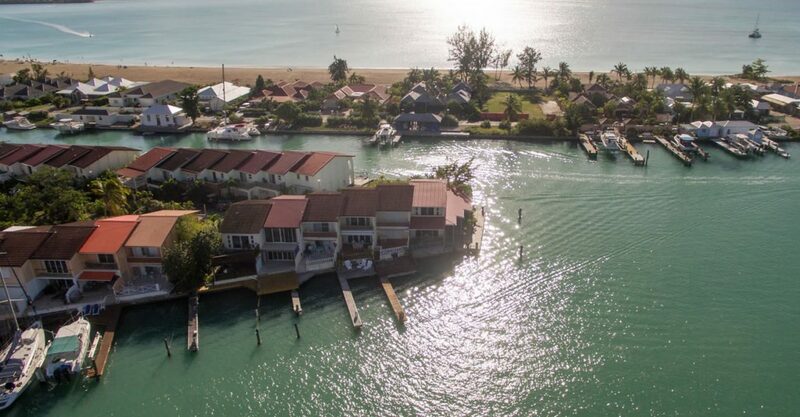 The master bedroom features views across the deck and out to the Caribbean Sea from inside and from its private balcony, while the main living space features 3 patio doors which also provide views over the water and access to the large covered veranda. 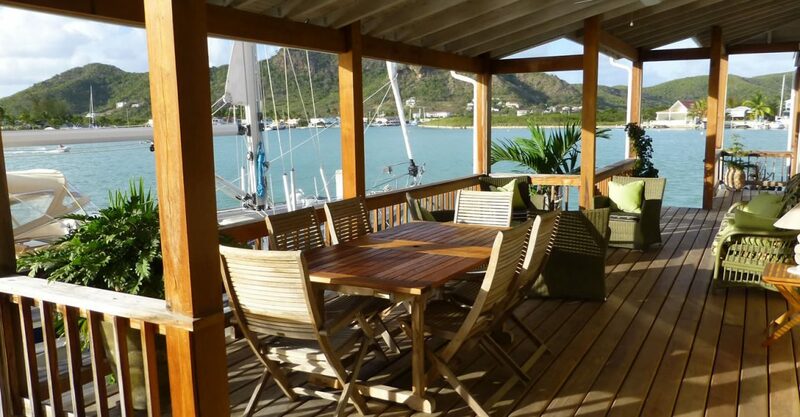 The veranda offers plenty of space for covered outdoor dining and leads to the deck which surrounds the property on 2 sides and comes with stylish outdoor furniture. 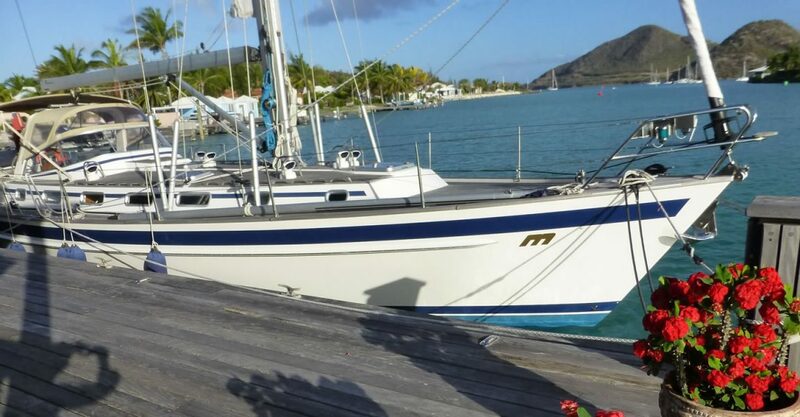 The deck sits alongside an 85 foot dock with easily maneuverable access – ideal for any boating or yachting enthusiast. 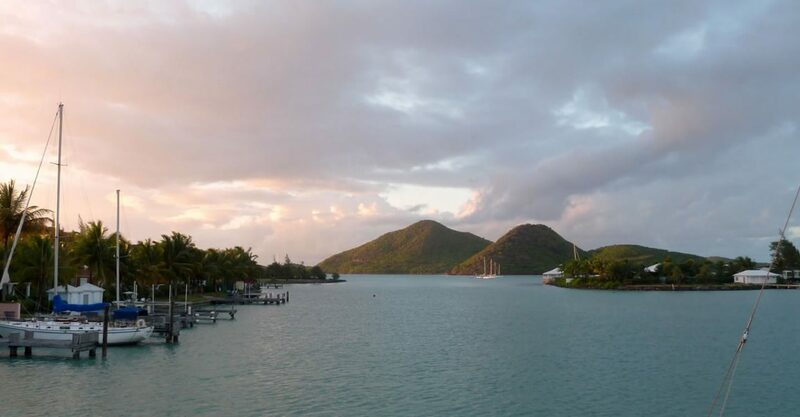 The dock could be lengthened if desired or a separate finger dock installed to accommodate an additional sailing vessel and boat lift if required. 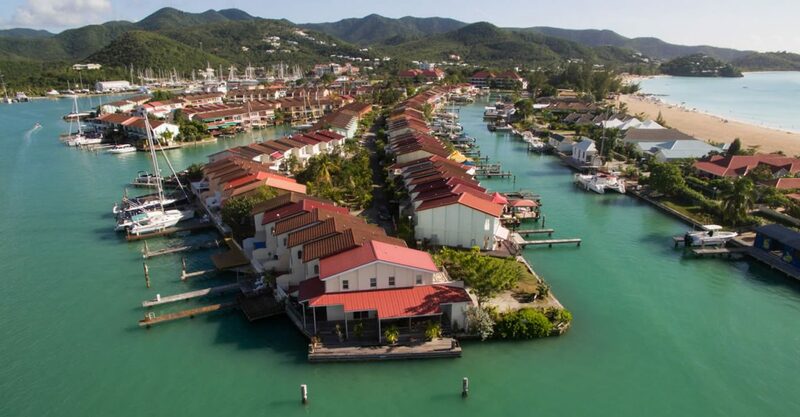 There is potential to extend the property further subject to planning approvals, due to the unique end position. The property comes equipped with cistern supplemented with mains water if required, ceiling fans and provisions for sir conditioning units if desired. 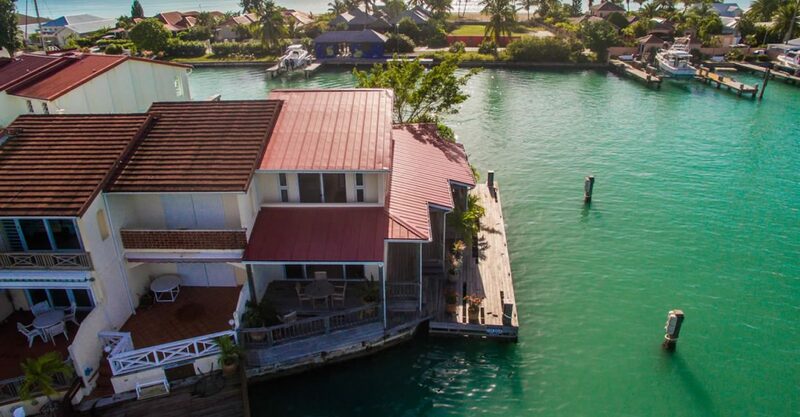 Air conditioning is not necessarily required due to the constant cool trade-winds that flow through the property. 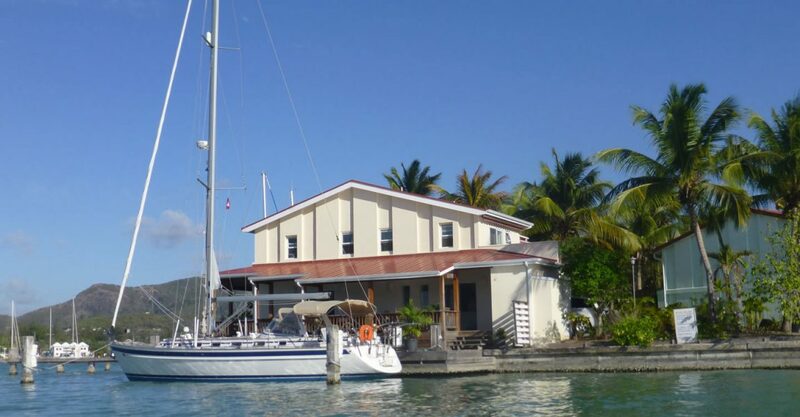 If you’re looking for homes for sale in Antigua ideally positioned to enjoy boating as well as accessing services and amenities, this property is ideal. 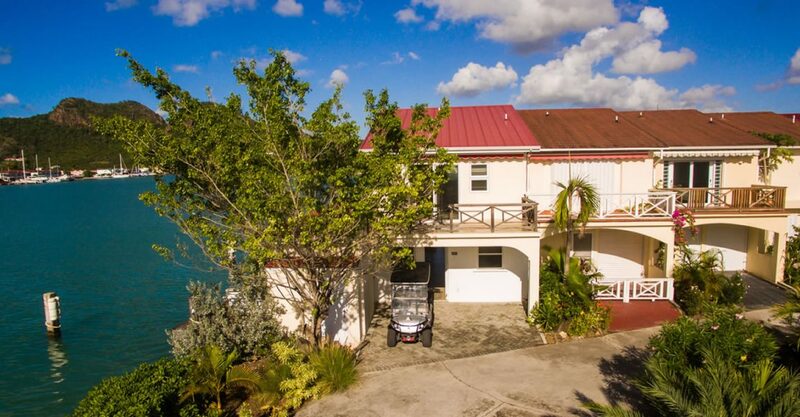 This villa is perfectly positioned in Jolly Harbour just a short walk to the restaurants, beach bars, supermarket, shops, banks, pharmacy and beautiful white sandy beach.